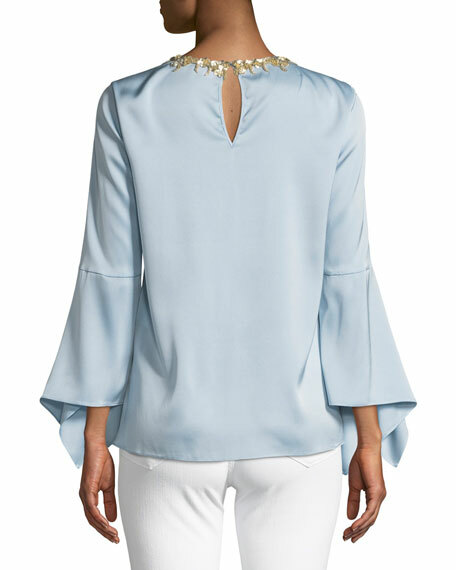 Kobi Halperin "Elida" blouse in stretch-charmeuse. Embellished crew neckline; keyhole front and back. For in-store inquiries, use sku #2464895.